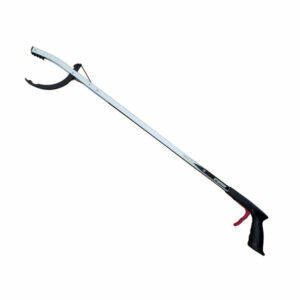 A range of good quality to deluxe quality litter pickers ideal for cleaning up discarded waste. Makes litter picking easy as this litter bag holder will hold all waste liners open to allow easy disposal and also removes the risk of ripping open bags whilst collecting rubbish. 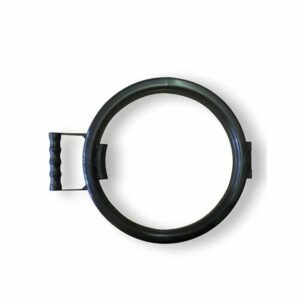 The hoop is easy to carry around with its easy grip holder. The Ramon Hygiene standard litter picker with its simple trigger action and also a moving claw, This allows the user to collect litter without bending or touching the waste. 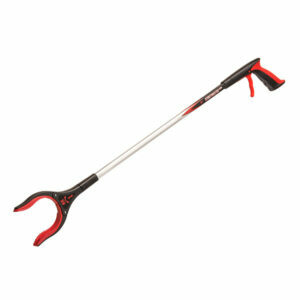 The deluxe quality litter picker picks up litter and larger objects easy and avoids the need to bend over. 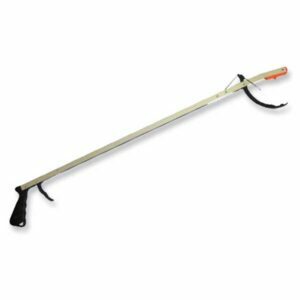 This 82cm litter picker is simple to use with trigger action with moving claws.